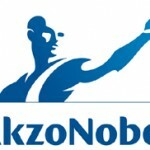 AKZO Nobel Inks has been founded in 1994 and it serves all over the world. It is a multinational Dutch organization and deals into specialty chemicals, decorative paints and performance coatings. It has operations in above 80 economies and has employed nearly 55,000 employees as stated in later report of 2010. Even the report stated that the company had total assets of €20.09 billion. Important people of the organization are Karel Vuursteen (Chairman) and Ton Buchner (CEO). It has been reformed on 2008 January post ICI acquirement. Products from the company are found regularly like bakery goods, cosmetics, papers, glass and others. There are currently 0 consumer reviews about AKZO Nobel Inks available. Share your review. Please take a note that you are about to post a public review about AKZO Nobel Inks corporate office on CorporateOffice.com. This review will be public, so please do not post any of your personal information on this website. If you would like to contact the corporate offices of AKZO Nobel Inks, please use their contact information such as their phone number, website, and address listed above to contact them. However, sometimes staff from AKZO Nobel Inks headquarters do read the reviews on this website.